At a recent SMCR (Senior Managers & Certification Regime) conference that I attended, an interesting question was put to the speakers from FCA (Financial Conduct Authority). They delivered a briefing about SMCR and consistent with all FCA speakers on the subject for the last 12 months or so, they started by talking extensively about the Conduct Rules. FCA are stressing the implementation of the Conduct Rules above the other elements of the Accountability II Regime every time they give a talk. First time round, everyone drew the triangle with SMR at the top, Certification in the middle and the Conduct Rules at the bottom. However, now, they start with the Conduct Rules. They described the new Conduct Rules as being the key to the improving customer outcomes and raising standards of behaviour leading to better cultures in Financial Service firms. “very similar, and that’s entirely deliberate, the big difference is the scope. The current principles only apply to Approved Persons which is a small subset of the people in the industry. The point of the CR (Conduct Rules) is that they apply to everyone (almost). There are lots of people in firms who have significant influence over customer outcomes, for example, complaints, claims, underwriters, analysts, middle management, etc. Many of these roles have lots of discretion over how they interact with customers and the decisions they make and their actions are very very important. To paraphrase Heineken’s advert from the 1980s, I guess they intend that the new Conduct Rules ‘refresh the roles that other rules cannot reach’! I agree with FCA about the transformative effect of the new Conduct Rules and their potency, but I think the biggest impact is the ‘framework’ of Accountability that the new rules are part of. Under Accountability II, these will apply to everyone involved in the regulatory activity of the firm except for ancillary staff. This second tier of rules will apply to all Senior Manager Function holders within the firm. This will be a very small population (intended to be Board and Exec only) but the impact of these rules will arguably be bigger and more significant on daily operations and activity than the ‘Individual’ rules. Typical ‘Performance Management’ in many firms focuses on HR and Performance issues, with little that is an ‘evidential’ assessment of ‘competence’ let alone Knowledge, Skills or Capacity. The Conduct Rules are indeed very similar to today’s ‘Principles’ under the Approved Persons Regime (APER) but they will be taken much more seriously because of how they fit within the new Senior Manager and Certification Regimes (SMCR). This is the explicit purpose of the new rules and all the brouhaha we’ve been focused on for over 4 years, since the first consultation papers were published. This must be given to a Senior Manager (Board or Exco) at all firms making them personally and individually responsible for ensuring that the firm has processes and procedures in place to embed the new Conduct Rules across all financial service roles in the business. The ‘Training’ obligation it refers to obliges firms to ensure that all staff are notified of the new rules that apply to them and that the firm takes ‘all reasonable steps (including provision of suitable training) to ensure that staff understand ‘how the rules apply to them’. There is a good degree of guidance and examples within the Conduct Rules part of the FCA Handbook book (CoCon) to help firms to determine what they need to do. Banking and Insurance firms have already been through this implementation, although this new Prescribed Responsibility, added as part of Accountability II, is potentially because of a lack of ‘rigour’ in implementing these rules in some of these firms. This brings me on to Training and Competence. For many firms the link between T&C and Certification is clear. In fact, I wrote an article for this magazine in March 2015, where I jokingly refer to it being the ‘1st edition of Certification News’. I think that in the new world, next year, when Accountability II is implemented for all firms, Jeff should perhaps consider renaming the magazine ‘Conduct Rules News’. The interaction between what is ‘traditional’ T&C and the new Conduct Rules is a surprise for many. The following is an extract of from the CoCon rulebook, providing guidance on Senior Manager Conduct Rule no.1 (SC1). COCON 4.2.6 Senior conduct rules staff members should take reasonable steps to satisfy themselves, on reasonable grounds, that each area of the business for which they are responsible has appropriate policies and procedures for reviewing the competence, knowledge, skills and performance of each individual member of staff. I have highlighted a section of the text because of its significance. The following are also extracts from the rulebook and are examples of what would be considered a ‘breach’ of Senior Manager Conduct Rules. Delegating the authority for dealing with an issue or a part of the business to an individual …..without reasonable grounds for believing that the delegate has the necessary capacity, competence, knowledge, seniority or skill to deal with the issue……. These requirements are a direct read across from Training and Competence. I think that when firms carefully consider the new obligations and implications of these powerful new Conduct Rules, many will want the control and assurance of processes very similar to T&C applied to the much broader population of roles and staff. Typical ‘Performance Management’ in many firms focuses on HR and Performance issues, with little that is an ‘evidential’ assessment of ‘competence’ let alone Knowledge, Skills or Capacity. Under the new Accountability regime, ‘performance’ alone will not be enough. The FCA Business Plan lists “Firms’ culture and governance” as the first of the FCA’s seven cross-sector priorities for 2018/19 and it reiterates the FCA’s continuing focus on promoting effective culture and governance including by ensuring “that firms have the right people in the right roles”. The Individual Conduct Rules create a ‘bottom up’ pressure on firms to prioritise and focus resources and attention on people, behaviour and competence. 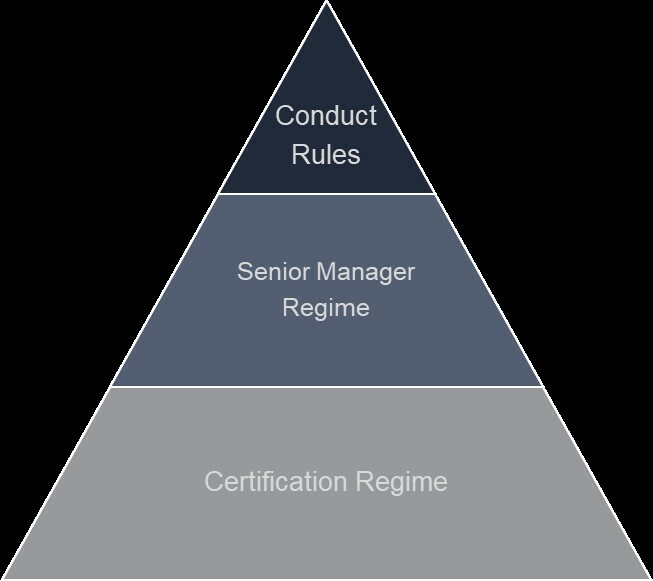 The Senior Manager Conduct Rules impose a ‘top down’ cascade effect that makes each senior manager responsible for the people, their behaviour and the assessment of their competence in their area of the business. Many people consider the recent enforcement judgement against the CEO of Barclays to have been a damp squib for Accountability but how many senior managers in your firm would be pleased with a public denouncement for ‘acting without due skill, care or diligence’ (Conduct Rule 2) and having to dig deep into their own pocket to pay a fine? The good news is that many firms seem to have understood the message and seen the writing on the wall. Despite the relative delays in the timing of Accountability II, many firms are considering how they will handle the new regime and specifically Certification and Conduct Rules and asking questions about how they assess and evidence competence today. However, improving T&C policy and processes takes time and applying similar standards to the broad spectrum of new staff can meet with resistance, particularly if the process of an effective regime for monitoring and assessing competence is admin heavy and inefficient. 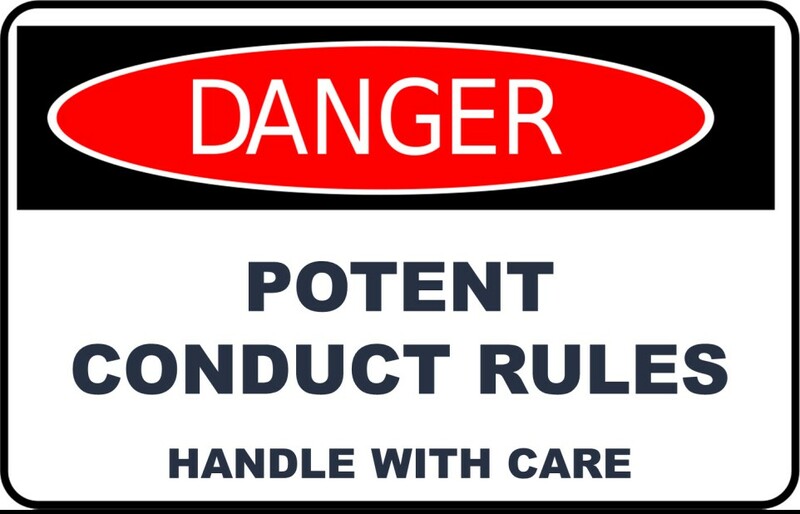 Firms who will soon be subject to Accountability need to start now to align all of these streams of change and to give their T&C teams time to equip them to handle these ‘dangerously potent’ Conduct Rules safely.